Topic started 2 months ago by Remy in Live is where we live. Since then 11 posts have been made by 6 users. Fellow U2starter @wideawake69 reached out to me with two possible missing shows from the catalogue that took place in the summer of 1979. I couldn't find these mentioned anywhere. Not at U2gigs/AtU2 tours, nor in Pimm's book. Did they ever took place? Are these known fakes or just missing? 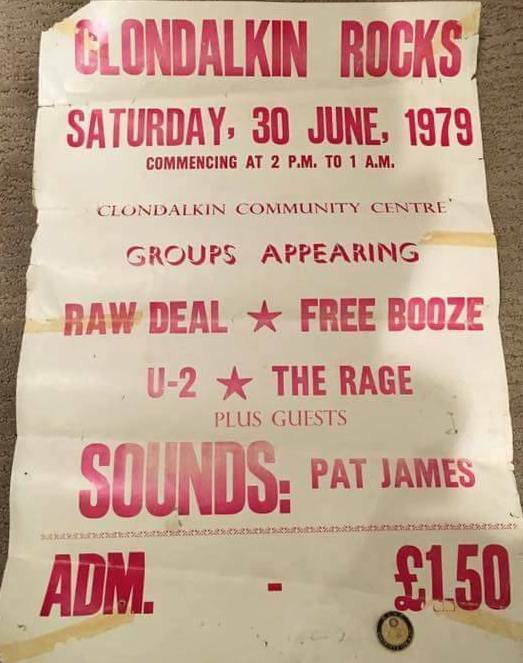 U2 play at a 10-hour rock festival "Clondalkin Rocks" together with Raw Deal, Free Booze and The Rage. Admission was 1.50. * Patrick Dillon from Free Booze remembers a riot when a fight broke out and they were all running down the roads to get away from it. * Gerry from Raw Deal who was also on that festival remembers the gig. * U2 played there when they were starting out and we ran them out of it as they were so bad....ha ha...what did we know. A lot of bands would come down from Dublin to 'try out' - it was a great place to be in the 70s. - Source: Anna Nolan Gough 12/2012. Thanks For link that website has ALOT of early U2 Information! Updated the opening post with a bit more detail. I have contacted Raw Deal who U2 played with in Clondalkin to help me confirm the first date but from all I can see now I have no reason these dates are fake. They both seem legit. Spoke via via to Gerry from Raw Deal who supported regularly for U2 back in those days, he remembers the gig and still has the poster as well. 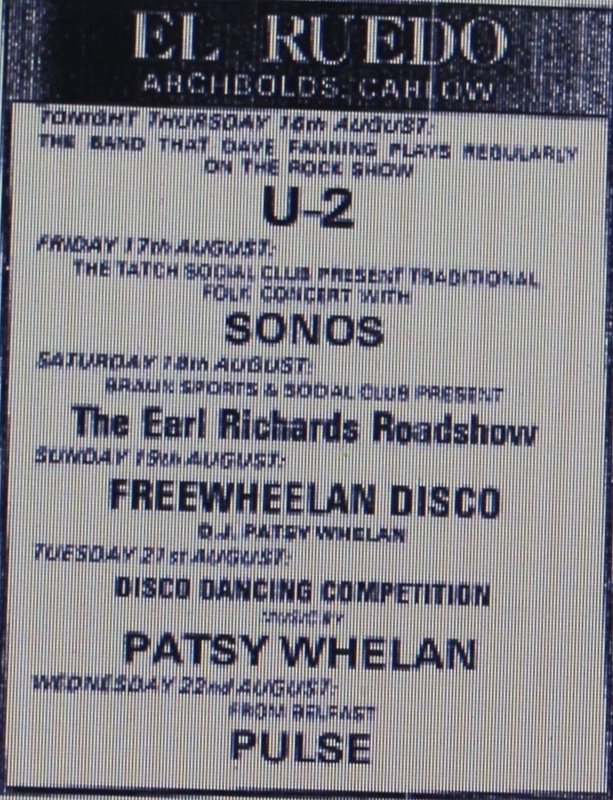 Originally posted by Remy :Spoke via via to Gerry from Raw Deal who supported regularly for U2 back in those days, he remembers the gig and still has the poster as well. There was an article on one of the Irish press sites about a cancelled gig somewhere up the country, complete with a photo of the flyer. Roscommon maybe? Or Leitrim? U2 failed to generate demand so they got a local band on instead. Does anyone have the link? Sorry I can't be more specific.